For most kids, learning to work with performance anxiety under the guidance of a great teacher can be a wonderful life lesson. But “learning life lessons” isn’t exactly on the top of every kid’s list of priorities– especially when that requires leaving their comfort zone. So how do you encourage your kid to play in a recital if they refuse? First, it might help to understand why recitals are such a valuable opportunity. If you want your student to be motivated and focused during lessons, sign them up for a recital. When students have a goal, a deadline, and the knowledge that others will be listening, their accountability increases. 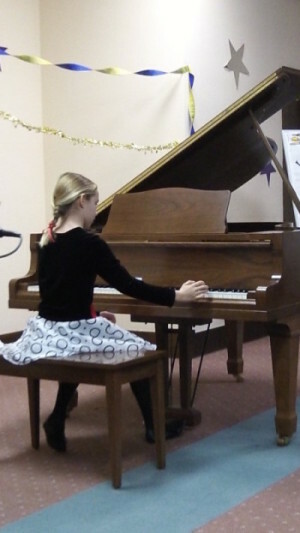 Recitals increase confidence and self-esteem. If we allow our students to skip recitals simply because they’re anxious and afraid, then we allow that fear and anxiety to go unchallenged. In a sense, the fear and anxiety wins. If repeated, this pattern can reinforce the student’s belief that they “just can’t do it”. 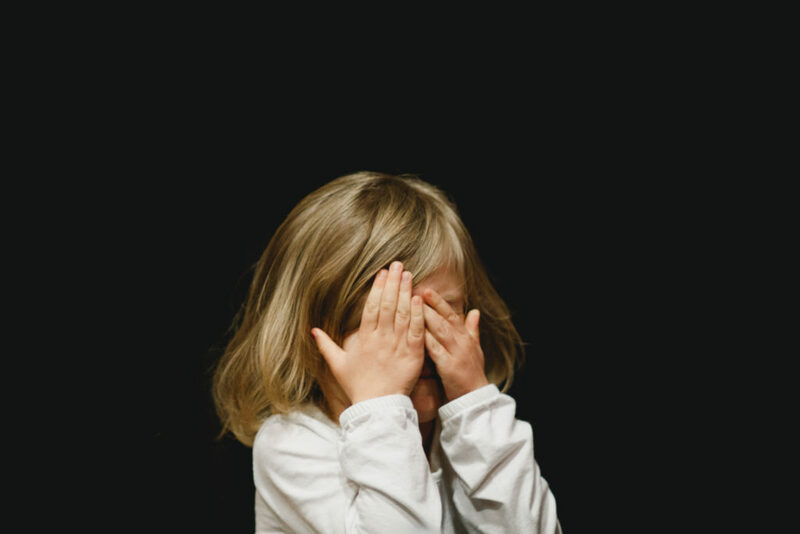 On the other hand, if a student “feels the fear and does it anyway” (as coined by author and psychologist Susan Jeffers), their self-image gets a confidence boost. Read Susan Jeffers’ five truths about fear. Recitals teach students how to cope with nerves. Recitals are a supportive, positive place to learn what it’s like to be nervous, how to persevere even when you’re nervous, and how good it feels to do something that initially scared you. As parents, it can be difficult to see your kid feeling anxious. Witnessing their insecurities might even activate some of your own. But know that, by encouraging them to play in a recital, you’re demonstrating to your child your belief that they can do it. You help them build resilience and the power to deal with tough situations. Read how to persuade a reluctant piano performer… and her parents, on Teach Piano Today. 1. Talk to your teacher about performing a duet. This takes some of the pressure off the student while allowing them to feel the thrill of performing. 2. See if your student can initially attend a recital just as a spectator. Seeing their peers perform, make mistakes, and still get a generous round of applause can be really inspiring! 3. Ask your student if they would prefer to sit next to their teacher during the recital, or make the suggestion. Sometimes kids will feed off of their parent’s nerves, so a little distance on recital day may help. 5. Get them “warmed up” by letting them play regularly in front of small, non-intimidating groups of family members or friends. 6. Suggest they choose a song, practice it, and sign up for the recital “just in case.” As the recital date nears, the student can remove their name from the list if they still aren’t ready. 7. Remind your kid that the recital will be full of other kids who are just as nervous as she is. It’s probably safe to say that no one will be paying as much attention to her playing as she herself, so why not give it a try? 8. If you’re also taking music lessons, play in the recital with them. What a great role model you’ll continue to be! 9. When they’re nervous, avoid saying things like “don’t worry about it” or “you’ll be fine”. Though well-meaning, phrases like this can communicate to the child that they’re wrong to feel what they’re feeling. Remember that the more a student performs for others – be it in a recital or in the living room with family – the less of a big deal it will be. Keep on being positive and encouraging when it comes to recitals, and your student will be on the road to performance ease! Want more recital advice? Read Seven creative music recital tips for easing nerves & nailing it.